Best Birmingham Tree Services provides affordable tree care and tree maintenance in central Alabama. We provide professional tree care for all situations that may arise on your property. We handle everything from simple hedge trimming to complete stump removal. With over 25 years' tree service experience in Birmingham, Alabama area, Eastern Tree Service is your knowledgeable and dependable tree removal expert. Whether you need tree work due to a weather emergency or you want a consultation for possible future tree services, we can handle all your tree service needs: 24/7 Emergency Tree Service, Tree Cutting, Tree Prunning, Tree Removal, Stump Removal, Land Clearing and FREE Tree Evaluations. American Tree Maintenance is a family owned and operated business with services ranging from Turf Maintenance, Landscaping, Irrigation and Tree Surgery. 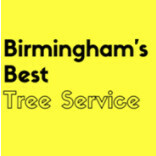 We also have an ISA Certified Arborist on staff with 28 years experience in providing quality services to our residential and commercial clients in and around the city of Birmingham. Safety and satisfaction are our top priorities. Quality service performed in a safe and timely manner has earned us a reputation for dependability. Birmingham Flowers was founded in 2001, with more than 11years experience in the Flower Business. The continuous support and encouragement from our valued customers has helped us to establish and expand our business all these years. With over 11 years experience, we are the experts in farm direct flowers. Providing a superior tree and stump service serving the Birmingham area. American Tree Maintenance is a full service tree, shrub, and turf care company. We specialize in plant health care (turf care, tree/shrub deep root treatment, mauget tree injection, etc), tree surgery, removal, and pruning, and a variety of landscape services (installation, lighting, and irrigation services). ISA & State Certified Arborist (#WE0817A) on staff for consultation services. We are Birmingham's best tree service business, catering to the greater Birmingham-Hoover metro area. We are truly a client service company first, which just happens to be in the tree care business. We are honored to be the tree care Birmingham homeowners have depended since 1999. The next occasion you require tree service, phone the experts at Birmingham Tree Service - we are licensed, insured, and also budget-friendly. Michael-The Tree Cutter Service strives to provide the most prompt service. 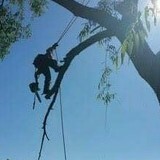 We offer quality tree cutting and trimming services. Don't hesitate to contact us in Birmingham, AL The quality of our work and attention to every detail sets us apart from our competition. Get in touch with us today. Your Brook Highland, AL tree service professional or arborist might work in conjunction with another landscape professional to create a seamless landscape design. Here are some related professionals and vendors to complement the work of tree services: Landscape Contractors, Landscape Architects & Landscape Designers, Garden & Landscape Supplies. Find tree service professionals on Houzz. Look in the Professionals section under Brook Highland, AL tree services. You can look through portfolios and read reviews to see what past tree care clients have to say.